Today is the last day of ISTE and I’m not there. I am following a lot of conversation from there on Twitter though. One thing that is coming up is that a lot of the computer science related professional development there is for beginners and/or for K-8 teachers. Now this is wonderful but it is not what I need. Sarah Judd had a couple of wonderful tweets that sum things up for me. Some of us have a lot of content knowledge. This is especially true for career changers from industry such as myself. It is equally true for many teachers who have been teaching for some number of years. What many of us need is more about how to teach. In a word pedagogy. I don’t mean “here is this robot and here are some example projects and code” and that sort of thing. I mean that is nice and all but it is usually a lot more about the tool and not the pedagogy. We are finally seeing some real research in how to teach computer science better. I’ve personally learned a lot from papers submitted to the SIGCSE conference and I’d really like to attend in person again. The problem with SIGCSE for a lot of teachers is it at a tough time to get away for a lot of us. And there is that whole perception (not 100% wrong) that it is for higher education educators. ISTE is going to be highly focused on beginners for some time to come. I don’t have a problem with that. I think ISTE can have a large impact on generating awareness among school administrators and technology integrators and teachers who are really serious about preparing students for a modern world that includes computers. 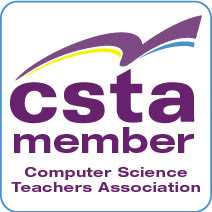 CSTA is the group I think should really increase their focus on training teachers how to teach. I would love to see a pedagogy track at the 2019 conference. Let’s hear about people using Parsons Problems, sub goal labeling, and other techniques. (BTW maybe take a look at How To Teach Computer Science where I talk about some of this) How about some case studies of project based learning? Not with a focus on the projects but with a focus on evaluation, maintaining student progress, and what does and doesn’t work about them? I am reminded of a conversation with a peer when I was an undergraduate. Someone asked him why he was a business major when he grew up on a farm and planned to stay in the family business. Why not agriculture? He replied that he knew how to farm. Modern farming is also a business and that is the peace he didn’t learn growing up. Those of us who “grew up” in the computer science field know about computer science. Now we need help becoming bettor teachers. Summer is a time of reflection and learning for me. I really want to be a better teacher and summer give me a chance to read more and to think more. This week I have been thinking a lot about facial recognition and augmented reality. One of the things that I know from experience and from research is that knowing students, especially their names, is a powerful thing for a teacher. Faces are hard for me. I don’t know if it is the way my brain is wired (there is a thing called prosopagnosia or face blindness that I would like to blame) or if I am just not working hard enough at it (as my son who knows every student in his elementary school – he’s the principal – suggests) but I would really love augmented reality that would let me know each student’s name. I also think “wouldn’t if be nice if a computer scanned the class room and took attendance for me?” On the other hand if we take that to a (perhaps) logical conclusion were get computers that track every student’s face to see who is paying attention. They are trying that in China (link below) and that scares me. It especially scares me if it gets tied into a ‘social credit’ ranking system like China is setting up. (Link below or search for China social credit) Oh boy! I can’t see a lot of students liking that one! Below you will find a link to an article about the CEO of a company that develops facial recognition who warns about how ready it is – or is not! Are we really ready to have it judge people? I think I’d rather see people doing the evaluations. BTW, there are schools experimenting with tracking students with RFID chips. Does using facial recognition take this to a new level or is it just a logical next step? Do we really want to normalize this level of tracking? I’m a little uneasy with the idea. Maybe more than a little. But to keep this positive and closer to education and making teaching better, Vicki Davis is seeing a lot of artificial reality and augmented reality at the ISTE conference (link to her recent post below) and seeing some positive things. As well as some risks. Could artificial intelligence replace teachers? Maybe the bad ones but what about the good ones? She doesn’t talk about the costs of teachers vs AI though. You and I know that some people would rather have poor to average “teacher” who are inexpensive than spend more money for the best. I see artificial reality and augmented reality as being very different. Later this week I am getting a demo of the VR system my wife’s school has installed. I may blog about that after. But for now, augmented reality. Things that lead to more and better interaction between students and teachers is a good thing. Imagine if every teacher in the school could address every student by name the first time they saw them. My gut tells me that is a good thing. Students want to be known and a name is a powerful part of that. What if a student showed up at my desk and asked me what they got on the recent test? They do that you know. Somehow they think you remember every grade for every one of their students. A AR system could pop that information up for a teacher. That would be good. Right? Potential for abuse? Sure. There is a fine line between deciding to call or not call on a student based on their grades as a good thing or a bad thing. A reminder that a student is on a concussion protocol might be a good thing though. So both risk and benefit to facial recognition and AR. How we balance that determines if we use it to improve education and learning or just become control freaks who limit student options. Do we use it to build relationships or to hand off everything to computers? Do we use it to share excitement and new ideas or do we just use it to make education inexpensive at the cost of quality? Of the several courses I teach, my favorite course is call Honors Programming. Its a one semester course that is the first real programing course for my students. Its my favorite course because it is the one I have the most autonomy teaching and because I am very prepared to teach it. I extend this autonomy to my students as much as possible. I find that the end of year semester wrap up project is the best learning experience of the course. In large part that is because the students select their own projects and seem very motivated to learn what ever they need (and somehow missed during the semester) to get their projects to work. My biggest frustration with the course is that students get a solid base, do one pretty interesting proj3ect and then they are done. At least for a while. Many take Advanced Placement CS (some AP CS A and some AP CS Principles) but both of those courses tend to be pretty constrained. They don't really allow for really big projects that as self selected. What I really want to do is teach a follow on course that is purely project based. I want students to pick a major project that they are really interested in and commit to learning, on their own, the things they need to know to complete it. Yes, I want a whole classroom full of students learning different things and working on different projects. I've seen amazing projects come out of classrooms run this way over the years. 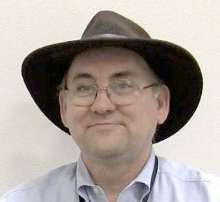 I am tired of grading simple easy to create programs that are only mildly challenging. I'm working on a proposal for this sort of course. My friend Doug Bergman runs some serious project based courses and is partly the inspiration for this. As are a couple of other teachers I have learned from over the years. It seems that students really get motivated to work on big projects, even scary projects, when those projects are meaningful to them. A motivated student will really put in a lot of work. They also pay attention when a teacher points them in a direction. One plus about Doug is that he has written the book on this sort of thing. I'm learning a lot from Computer Science K-12: Imagining the possibilities! : Bringing creative and innovative Computer Science to your school It really has me excited. (I recommend Doug's book BTW for anyone looking to create or expand a computer science program. Lots of good stuff there. I'm looking for more ideas as well. Grading is a concern especially for administrators and parents. Doug has some stuff on that in his book but I'm always open to more ideas. I know that giving students too much autonomy scares some people. Keeping them on task and making steady progress can be an issue. Students often think they can goof off now or change priorities for what they think will be temporary needs and still get everything done at the end. They often guess incorrectly so keeping track is important. In the long run, I think that this sort of opportunity with motivated and interested students can result in a lot of learning. It can also help build interest in computer science, help students learn to learn, and result in benefits for all concerned. One of my students won for her district last year. She found it a very valuable experience. I highly support this challenge. Share it with high school students you know. The Congressional App Challenge (CAC) is a congressional effort to encourage high school students to learn how to code. Last year, 200+ Members of U.S. Congress in 42 states conducted an App Challenge in their respective districts. Nationally, the contest inspired 4,956 students to code in 2017, and over 8,800 students cumulative in past 3 years. display their app in the Capitol Building in Washington, DC. How can your students get in on it? We would love to see a diverse range of students shine on the national stage! In the first 3 years of the Congressional App Challenge, the program has yielded 605 App Challenges across 42 states. Over 2,400 apps have been created by nearly 9,000 students, and participant demographics surpass all industry diversity metrics, with young women representing 30% of all competitors. This year, the CAC initiative aims to reach even more constituents.